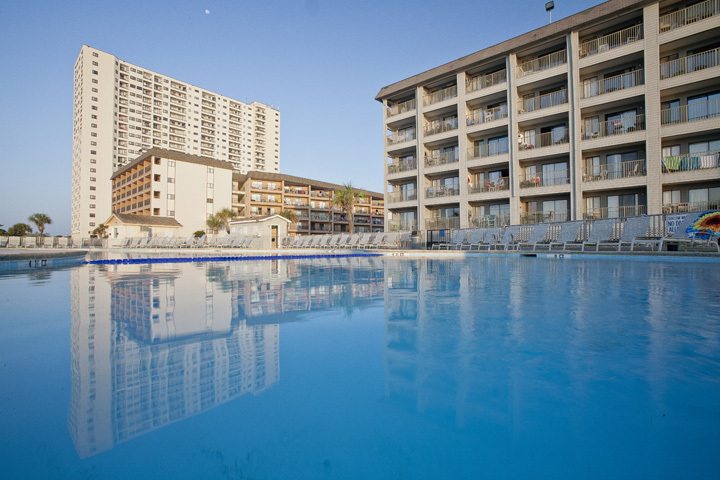 The Myrtle Beach Resort offers condos in Myrtle Beach, SC. 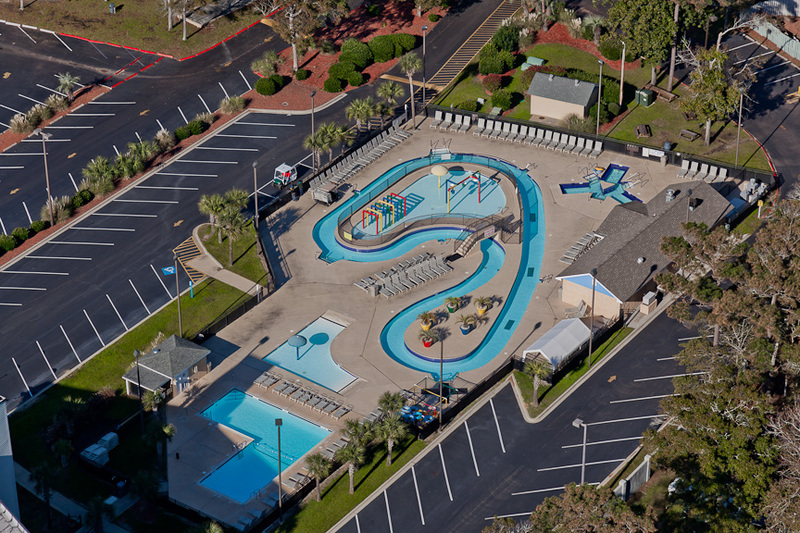 The Resort is nestled on 33 peaceful acres fully secured by a majestic gated entrance off Business Highway 17 - the road that brings the Grand Strand together. Inside the gates you will discover an ocean front wonderland filled with recreational amenities - a 375 ft lazy river with wet deck, six swimming pools (two indoors), 4 whirlpools (three indoor and one outdoor), an exercise room, saunas, steam rooms, tennis courts (lighted for night play), basketball, volleyball, bocce ball, and a children's playground. 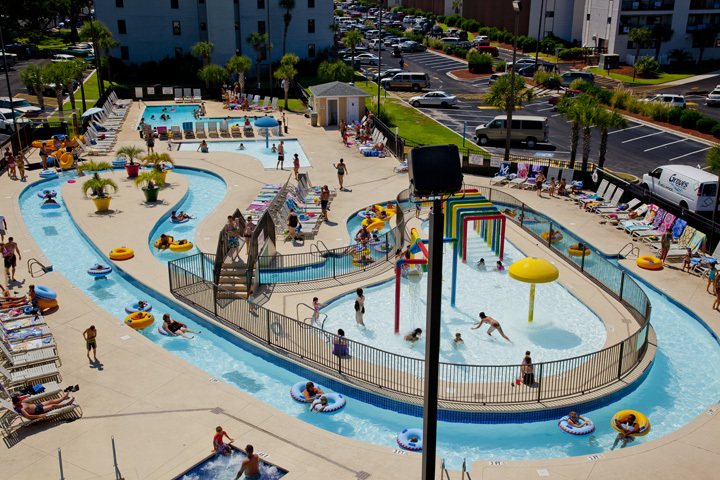 All of this recreational wonderland is free to vacationers staying in our fully furnished condos. 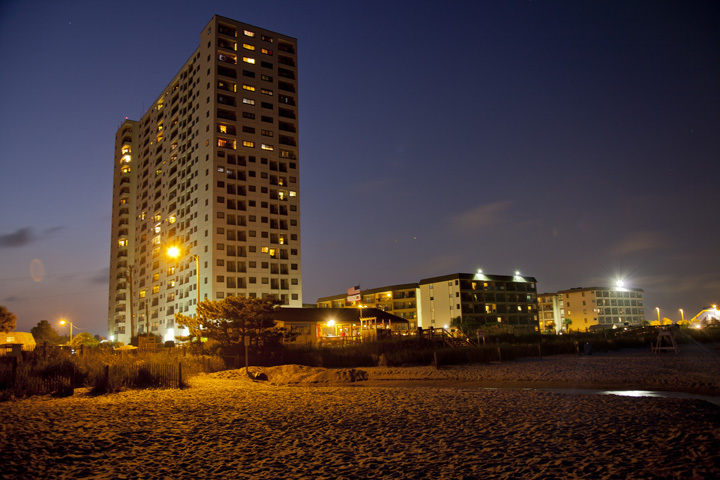 Every Myrtle Beach condo offers a private balcony for relaxing in the cool breezes. Functional design coupled with luxurious appointments create an ocean front ambiance worthy of a world class resort. There is an ocean front cabana bar (catering to the non-drinkers as well), a poolside snack bar and an on-site convenience store and deli - and you may never want to leave. 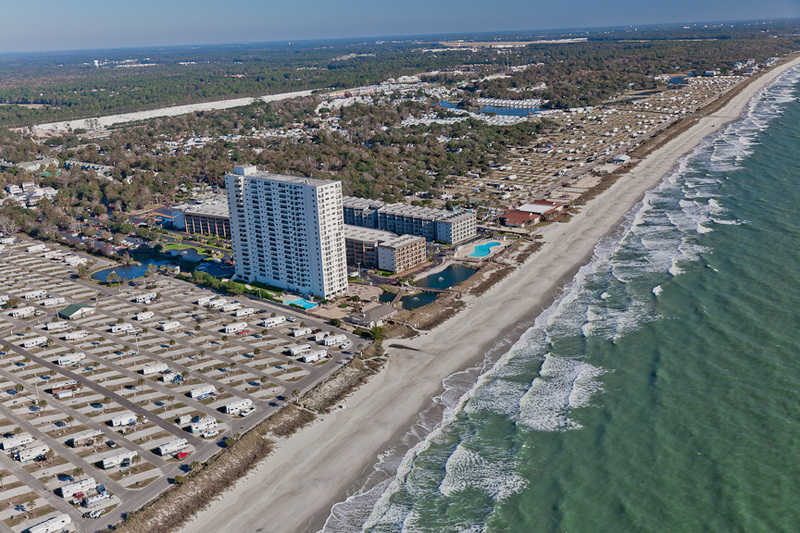 But, if you do, Murrells Inlet with its many famous restaurants or our newest complex, Broadway at the Beach, are only minutes away. The entire Resort is protected by a 24 hour security patrol. You could not select a more convenient lodging location for a secluded, self contained visit. 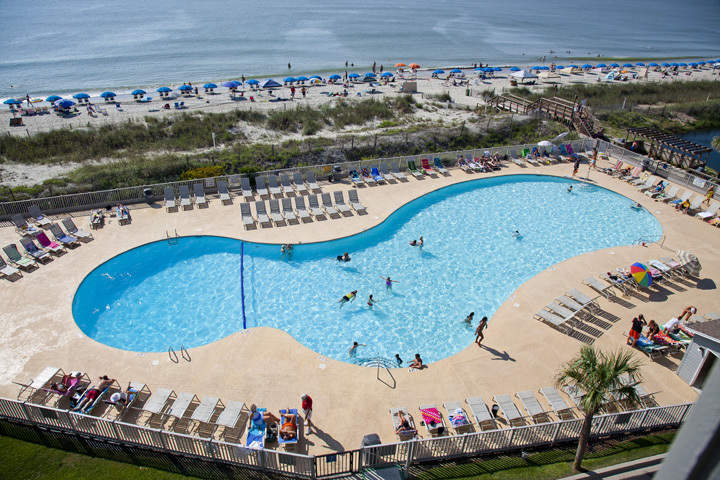 While vacationing at Myrtle Beach Resort Condos, your entire family can indulge in a myriad of activities designed for all seasons in one of four outdoor or two indoor swimming pool complexes. If a workout in our exercise room is more to your liking, you can top it off with a few minutes in a wet or dry sauna or a bubbling Jacuzzi. Tennis, basketball, volleyball, even bocce ball are all available at no cost to our vacationers. Children will enjoy a playground just for them next to our picnic area. FREE wireless Internet access is available throughout the resort.